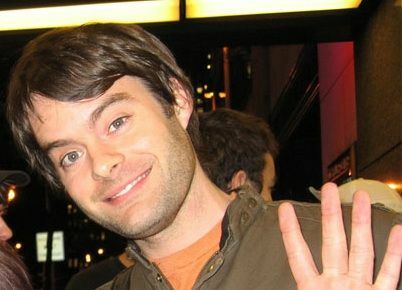 William Thomas "Bill" Hader, Jr. (born June 7, 1978)is an American comedian, actor, voice actor, producer, writer and director. He is known for his work as a cast member on Saturday Night Live (2005–2018), for which he has received four Emmy Award nominations, South Park (2008–present) and the parody series Documentary Now! (2015–present). 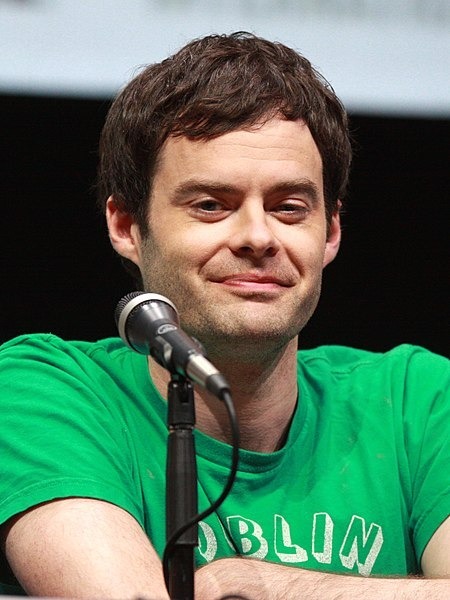 He co-created and stars in the HBO series Barry, which began airing in March 2018 and earned Hader an Emmy for Outstanding Lead Actor in a Comedy Series and three other Emmy nominations for Outstanding Comedy Series, Outstanding Directing for a Comedy Series and Outstanding Writing for a Comedy Series in its first season. He is known for his supporting roles in Hot Rod (2007), Superbad (2007), Forgetting Sarah Marshall (2008), Tropic Thunder (2008), Night at the Museum: Battle of the Smithsonian (2009), Paul (2011), Men in Black 3 (2012), Maggie's Plan (2015) and It – Chapter Two (2019) as well as for his leading roles in the dramedy The Skeleton Twins (2014) and the romantic comedy Trainwreck (2015). He has had voice roles in Cloudy with a Chance of Meatballs (2009), Turbo (2013) and the Pixar films Monsters University (2013), Inside Out (2015) and Finding Dory (2016). Born Name: William Thomas Hader, Jr.